What happens when anyone questions Darwin's theory? 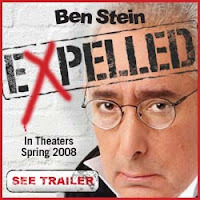 Watch Ben Stein's new moving "Expelled" and see for yourself. Click on the link to your right and watch the Super Trailer, very intriguing.